Sport trim, Black Clear Coat exterior. 4x4, iPod/MP3 Input, CD Player, 6-SPEED MANUAL TRANSMISSION, ANTI-SPIN REAR DIFFERENTIAL, 3.8L OHV 12-VALVE SMPI V6 ENGINE. AND MORE! ANTI-SPIN REAR DIFFERENTIAL, 3.8L OHV 12-VALVE SMPI V6 ENGINE (STD), 6-SPEED MANUAL TRANSMISSION (STD). MP3 Player, 4x4, Steering Wheel Controls, Child Safety Locks, Rollover Protection System, Electronic Stability Control, Bucket Seats. 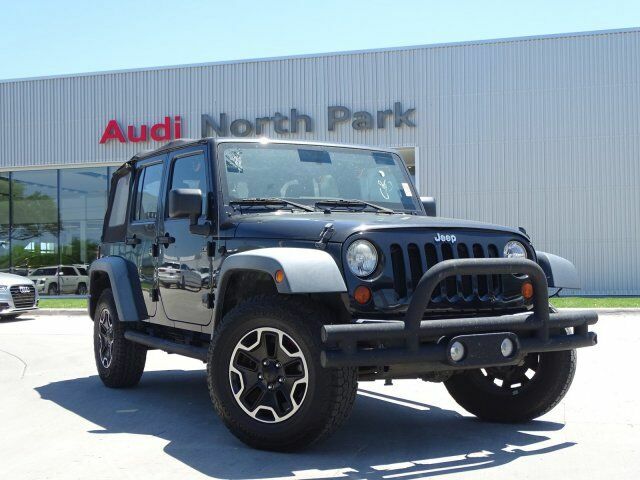 "The four-wheel-drive, go-anywhere Wrangler remains the quintessential rugged Jeep." -CarAndDriver.com.